There is a touch of Indiana Jones in us all – an ordinary citizen on the exterior with a respectable job, while beneath… a courageous adventurer willing to traverse the globe in pursuit of fortune and glory. However, most of us prefer that our excitement not come with bullets whizzing past our heads or our loved ones being routinely abducted. We find our thrills in games, and gaming. Plenty of us welcome the extra heart palpitations triggered by having a little money on the line. Along the way, players encounter casino-style games. And, on top of exciting wins and “hidden bonuses”, players accumulate tickets for a daily jackpot draw. 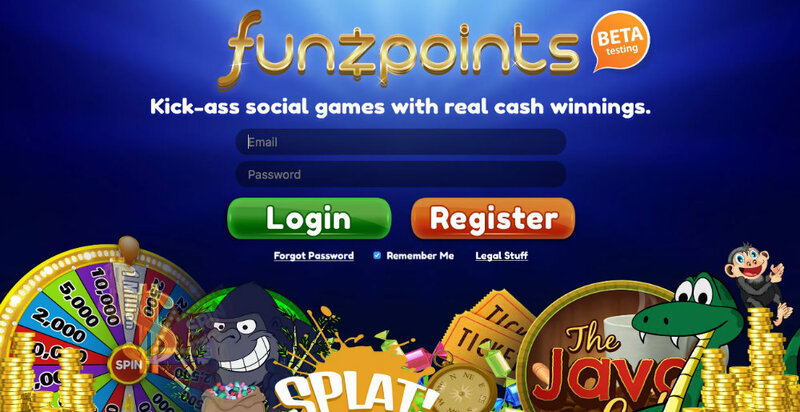 Yes, this makes funzpoints a social gaming platform that pays real money rewards to players. That’s money deposited to your credit card account (without being chased by nazis). Exciting games + cash winnings + loyalty point extras = inner Indiana Jones satisfaction. It’s an irresistible formula, isn’t it. Who said being an adult has to be boring? So you don’t want to crawl around in the actual jungle. So you can’t jet off to Vegas on a whim. That doesn’t mean the kicks you seek are beyond reach. Far from it. With funzpoints you have the ideal social gaming sweepstakes solution to feed your appetite for fun. Can you hear the distant drumbeats calling? Monkeys chattering? Coins clinging? Yourself screaming? A taste of the exotic and bonafide chances to increase your fortunes are yours for the taking with funzpoints. No matter where you are. No matter what job you’re working. No matter how dull or constant your everyday routine. Ready to get “whisked away for outside adventures, for extra wins and more free jackpot tickets”? Currently, funzpoints is in beta. Request an invite to join the platform at funzpoints.com. For more details, visit wooplagaming.com.